Crock-Pot® 6 Qt Slow Cooker Just $13.60! Ships FREE! You are here: Home / Great Deals / Amazon Deals / Crock-Pot® 6 Qt Slow Cooker Just $13.60! Ships FREE! Love this color! 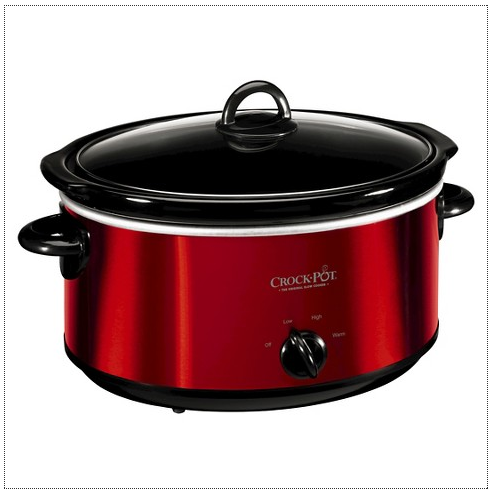 In the market for a new or additional Crock-Pot or need a holiday gift? Head to Target to get the Crock-Pot® 6 Qt Slow Cooker for just $13.60! Regularly $30, this is on sale for $17 but use promo code CROCKPOT20 to get an additional 20% off for a final price of $13.60! And it ships FREE! The Crock-Pot Manual Slow Cooker with Travel Strap in various colors is the perfect addition to any busy cook’s kitchen. This electric slow cooker ensures perfectly made meals ready right when you need them even if you can’t be in the kitchen to prepare them right before serving time. Crockpots are ridiculously versatile!